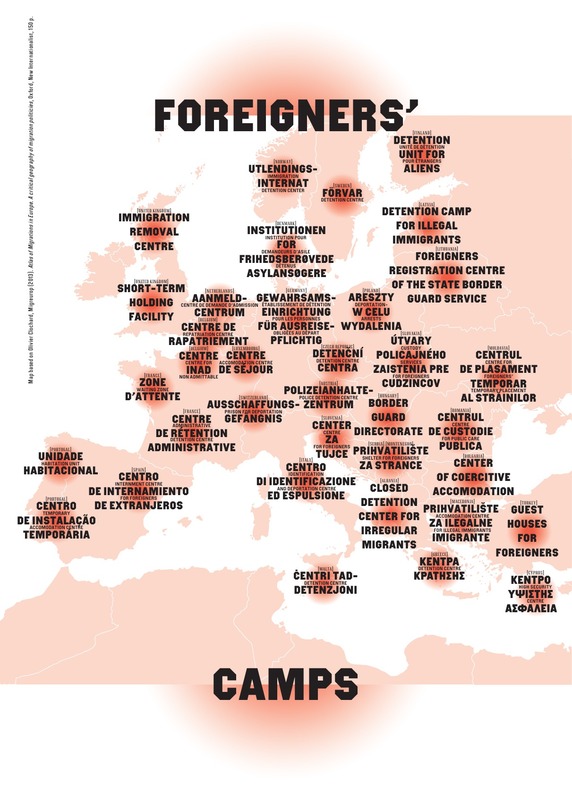 This map shows some euphemisms used by member states to refer to the different types of detention centres: Romania refers to “public support centres” (Centrul de custodie publica). Turkey – an EU candidate country – went as far as using the term “guest houses”, until it was called to order by the Committee for the Prevention of Torture (CPT) which recommended use of the term detention centres “since the persons held in these centres are undoubtedly deprived of their liberty” . Migreurop has chosen to use the word “camp” to designate the various premises on which migrants are detained, to which the authorities of numerous States across the world increasingly resort .